It’s time to start planning your Halloween costumes! Lucky for you We’re clearing out tons of costumes and accessories from our costume house! Wanna get in on the action? 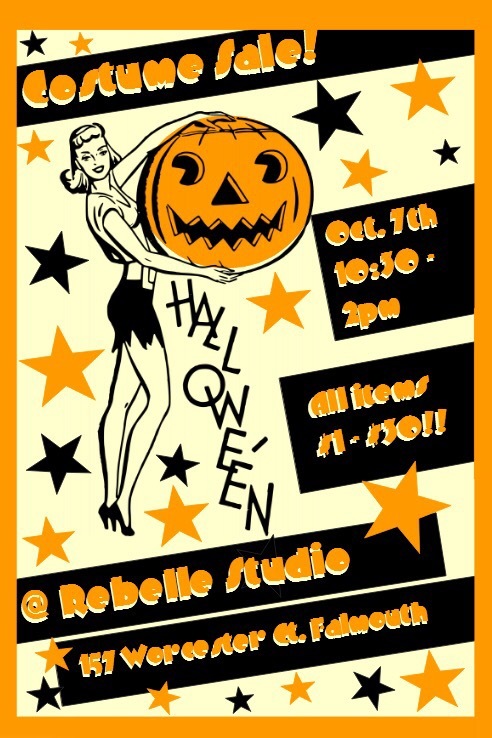 Join us October 7th at Rebelle Studio 157 Worcester CT. Falmouth, Ma from 10:30-2pm. Prices varying from $1-$30. All sizesSo much good stuff! Spread the word!